A US astronaut said on Thursday she had full confidence in the safety of the Russian-made Soyuz rocket that will blast a three-person crew into space next month in the first such launch since a rocket failure. Russian cosmonaut Oleg Kononenko and US and Canadian astronauts Anne McClain and David Saint-Jacques are due to embark for the International Space Station on Dec. 3 after a similar launch on Oct. 11 ended in an emergency landing. Two minutes into that launch, a rocket failure forced Russian cosmonaut Alexei Ovchinin and US astronaut Nick Hague to abort their mission and hurtle back to Earth in a capsule that landed in the Kazakh steppe. The two were unharmed. Speaking at a news conference in Star City near Moscow, McClain said that occasional failures were inevitable, but that the mishap with the Soyuz-FG in October had demonstrated the reliability of its emergency safety mechanisms. “We trust our rocket. We’re ready to fly,” she said at the conference also attended by her colleagues Kononenko and Saint-Jacques. “A lot of people called it an accident, or an incident, or maybe want to use it as an example of it not being safe, but for us it’s exactly the opposite because our friends came home,” McClain told reporters. 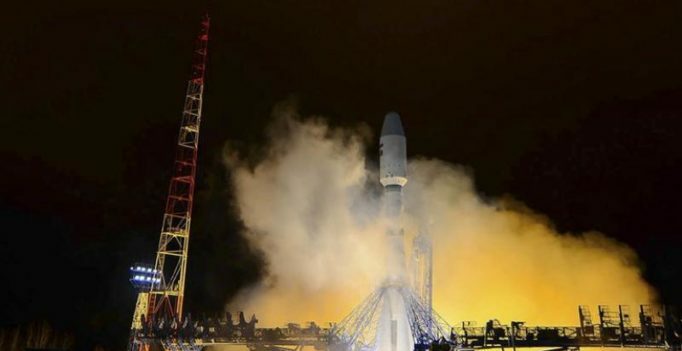 Russian investigators said the rocket failure was caused by a sensor that was damaged during assembly at the Soviet era-cosmodrome at Baikonur from where McClain, Saint Jacques and Kononenko are due to launch. Ahead of their mission, an unmanned rocket carrying cargo is due to launch on Nov 16. in what will be the first Soyuz-FG take-off from Baikonur since the mishap. The organisation has recommended that protection against sexual harassment and sexual assault, as specified under Sections 375(1), 375A2, and 354A3, be also applicable to transgenders….